RIYADH, Saudi Arabia: PRNewswire: flynas, The Saudi Arabian national air carrier, has been named as the “Middle East’s Leading Low-Cost Airline” at the prestigious World Travel Awards™ 2016 for the second year in a row. 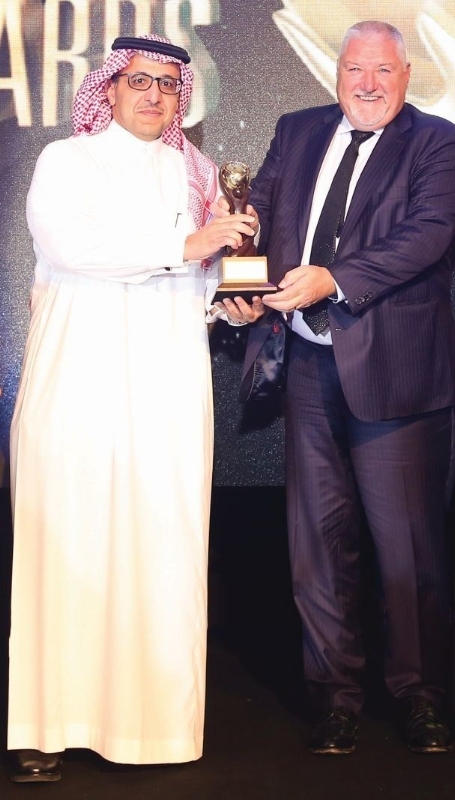 The award was presented to flynas during a ceremony in Dubai on 29 September, 2016. In bestowing the award, the organizers noted flynas significant expansion over the past twelve months, an increased number of destinations, growth in their loyalty program – naSmiles, and market leading enhancements in their customer focused mobile app and ecommerce suite of products. Bander Al Mohanna, CEO of NAS Holding said: “We are delighted that this work continues to be recognized by the global aviation industry for the second year in a row.” Al Mohanna added: “While 2016 was a year of major expansion for flynas in terms of business growth and business decisions we remain committed to continuing to invest in our products and services for the benefit of our guests. For this special occasion, flynas has also announced that all guests can now get a discount of SAR 100 on all of its international destinations by using the promo code “WEWON” on flynas.com or on flynas’s mobile application. The offer will last for 7 days starting from 3rd October until 10th October 2016, and will give flynas guests the chance to travel from 3rd October until 31st December 2016. In 2016, World Travel Awards™ will celebrate its 23rd anniversary year. The annual programme is renowned as the most prestigious and comprehensive in the global industry.